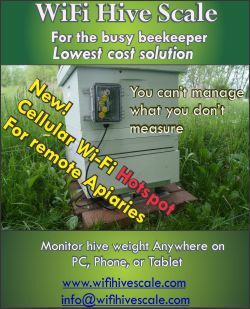 Several months ago, Randy Oliver started writing about a new application method for oxalic acid (OA) on his Scientific beekeeping website. This particular method mixes OA with food-grade, vegetable glycerin. It is then applied to some sort of matrix (ie. shop towels, cardboard strips) and placed into colonies. Simple and cheap! He derived his information from a beekeeper in Argentina that had been experimenting with this method for several seasons and was showing promising results. So, Randy took it upon himself to test this latest procedure and write about it. This is what beekeepers do. They hear about something that might be working, and they try it, especially if it’s promising to kill mites (and cheaper than what is currently available). In a short time Randy was reporting success with the OA mixture. That’s when the switch board started lighting up here at the lab. I was getting phone calls and emails asking about how to mix, what to use, when will it be available, where can I get it, why can’t this be approved now??? My initial reaction to these inquiries was, whoa folks, let’s all take a breather. Yes, Randy has been getting some good results (which he continues to report) however, this has not yet been approved for use in the U.S. and has not been tested on a large scale. Also, Randy’s tests were on the West coast (hot and dry). What about our environment, hot and humid? Will it work here on the East coast? 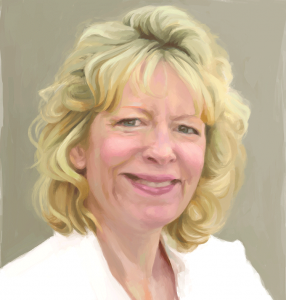 Do we need to change the concentration of OA, dosage amounts, delivery methods? 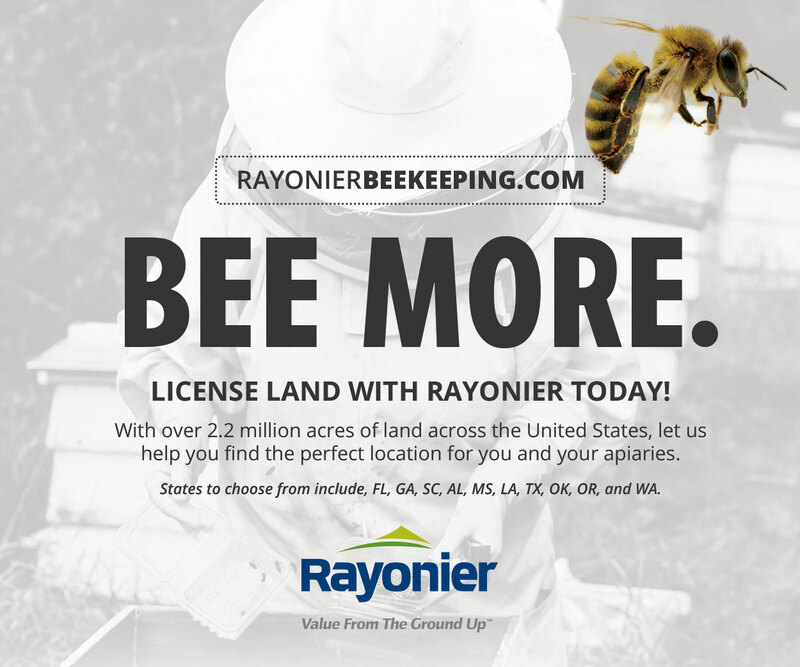 Before every beekeeper in the southeast jumped on the OA/glycerin bandwagon (which could have potentially devastating results) I decided we needed to test it on the East coast ASAP. A large field trial to see if 1. Does it kill mites (90%+) in our area, and 2. Is it safe for our bees. 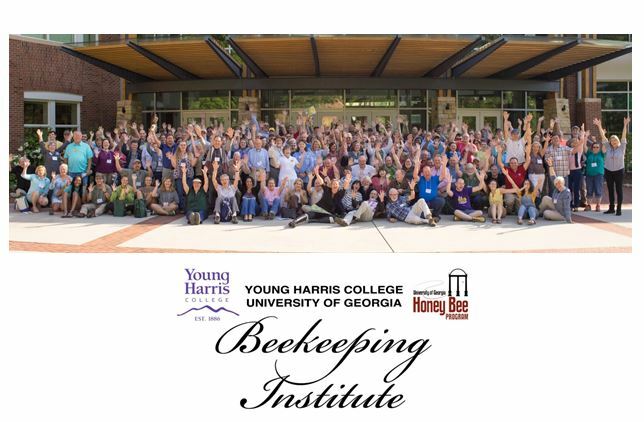 We needed numbers, so I called several Georgia commercial beekeepers that I knew would be willing to help. Our lab had the colonies but they were already involved in other experiments that would not allow any other interference. I also wanted to enlist the help of a neighboring university, since the trial was going to be a HUGE amount of work, and we were already stretched thin. After a few days, Shearer Turton, Dream Haven Farms (Cordele, Georgia), and Bob Binnie, Blue Ridge Honey Company (Lakemont, Georgia) were both willing to be a part of the study. This was perfect, a trial in South Georgia and one to the North. Plus, Dr. Geoff Williams from Auburn University agreed to collaborate on the study to help his beekeepers in Alabama, who were also eager to know whether this new method would work. But let me back up a bit. For those of you new to the OA scene, let me give a little background information. Oxalic acid is an organic acid found just about everywhere in the environment, including plants and vegetables. It is bitter to the taste and irritating to the eyes, mouth and skin. It is a natural plant defense against herbivores. It is also found in honey. Since it is not fat soluble (a lipid), it doesn’t build up in wax comb. Back in 1957, it was registered as a pesticide (disinfectant/sanitizer), but, by 1994, the renewal of the product registration was cancelled. There are risks involved if you plan to use oxalic acid. Given its caustic effect on the eyes, skin and respiratory system, it’s labeled with the highest degree of toxicity, “Category 1.” So, as with all pesticides, caution must be taken when handling it. 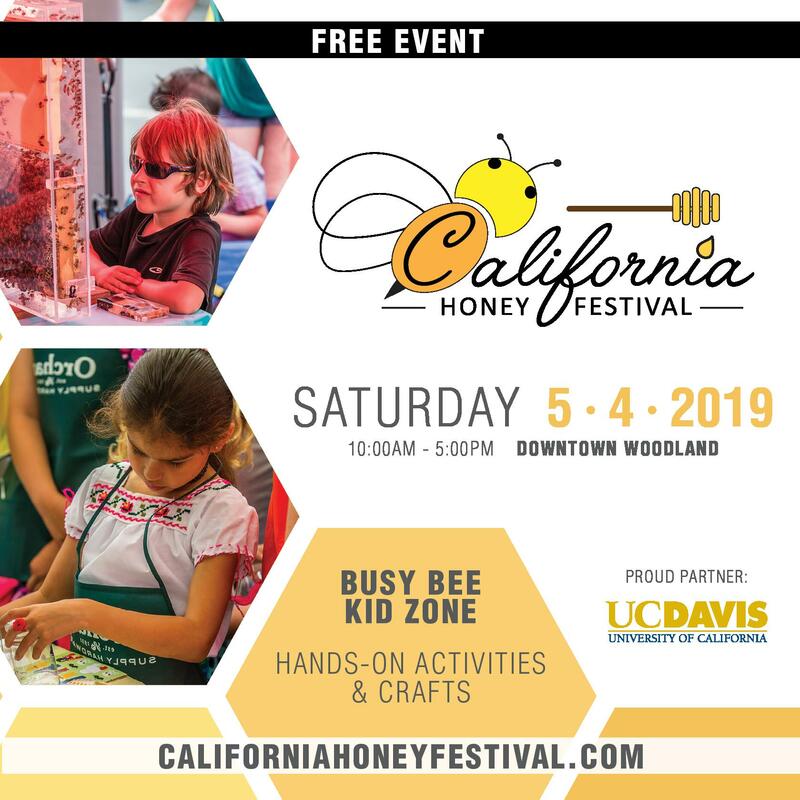 As of right now, there are three application methods approved for use in honey bee colonies: trickle (dribble), vaporization (sublimation) and spraying. It can be used on existing colonies, packages or swarms. The two most popular are the trickle and vaporization method. The trickle method is prepared by mixing the 35g of acid with a warm, 1 liter 1:1 sugar-to-water solution. Next, the solution is drawn into a syringe and 5 ml is trickled (scientific term for “dribbly drop”) down the seam between each frame and directly onto the bees; the maximum dose is 50 ml per colony (5mls per seam). This method only works when little to no brood is present and temperatures are within the range of 35-55°F. 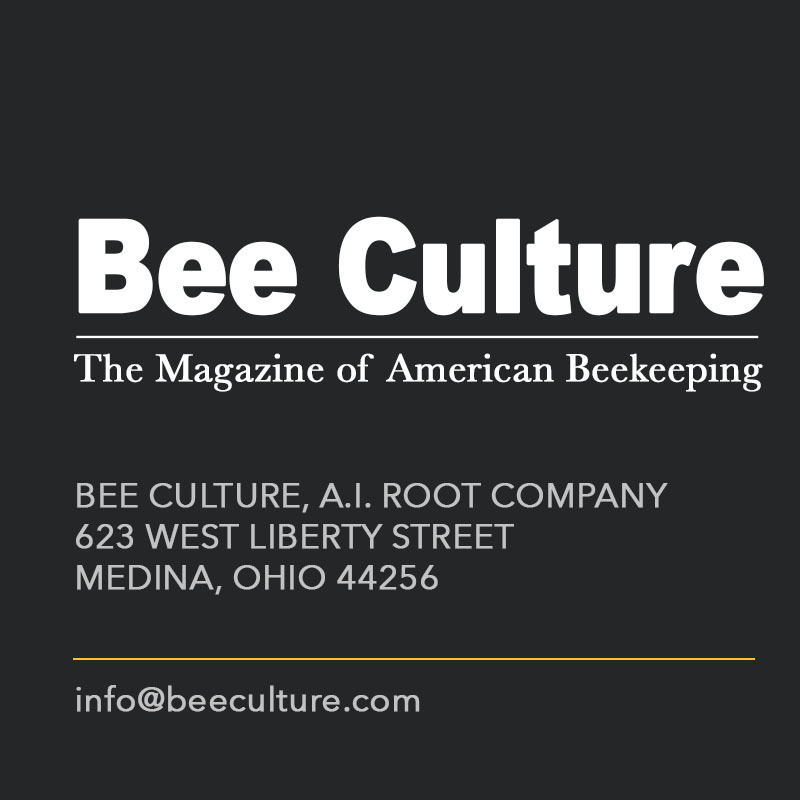 The bees must be in a cluster in order for the OA to be distributed properly, otherwise the solution will not reach every bee, and hence be ineffective. This method works great here in the southeast between Christmas and New Year’s, when little to no brood is present. Also, one reason I use this method on my own bees, it works, it is not harmful when used properly and it’s fast to apply; about one or two minutes per colony depending on the number of supers. Also, it doesn’t matter whether it is a nuc or a full-size hive with a single or multiple brood chamber, but reduction in dosage for smaller colonies obviously. A few words of caution here. First, only use the solution when it’s fresh and more importantly, never use on starving colonies. 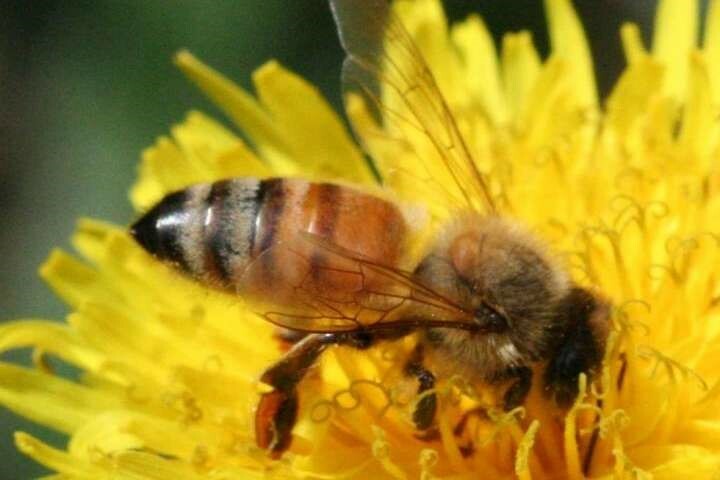 The bees will consume the mixture since it contains sugar, and this can cause them to die. 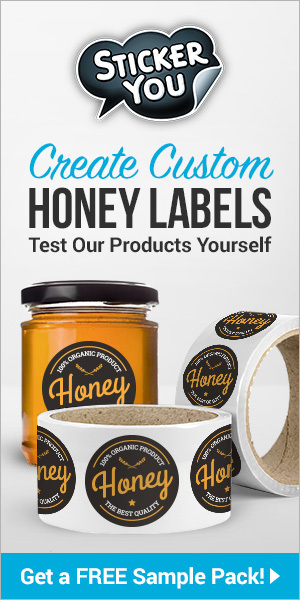 And of course, you cannot use any of these methods if human consumable honey is present. Next is the vaporization method, which is only to be used on colonies outdoors. And, whatever you do, do not inhale the vapor! Before you begin to VAP, light a smoker and see which direction the smoke is moving and always stay up wind from the colony being treated. Basically, you use a vaporizer, which is a metal wand with a plate at one end and a cord which connects to a battery at the other end. Oxalic acid is placed on the metal plate. The plate is then slid into the entrance of the colony. The entrance opening and any other cracks and crevices are then sealed with the vaporizer in place to avoid the vapor from escaping. 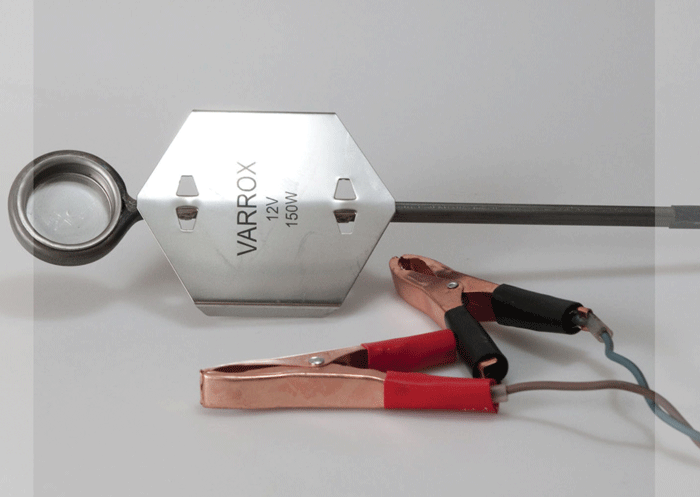 Once connected to a battery, the heat from the plate causes the oxalic crystals to melt and turn into a gas (sublime). The vapor will permeate the hive and when it comes in contact with the mites, it kills them. Each vaporizer is different. Some take only a few minutes to activate the acid, while others take a little longer. Since you don’t have to open the colony to treat, this seems to be the easier of the two methods to implement, especially on cold, rainy days. However, more equipment is required (battery, wand, water, towels and respirator), and it does take longer. You can also spray (mist) packages or swarms. 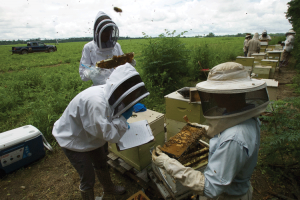 Over the last few years, we’ve followed this protocol to ensure that we’re starting our research projects with mite-free bees. Once the packages arrived, we placed them in a cool, dark location in the lab for 24 hours for the bees to cluster. Several hours prior to applying the oxalic solution, we spray the bees with a 1:1 sugar solution to fill their honey stomachs and reduce ingestion of the upcoming oxalic treatment. Next, we mix the oxalic acid in a 1:1 sugar water solution and evenly apply the solution to the bees. Is Oxalic perfect? 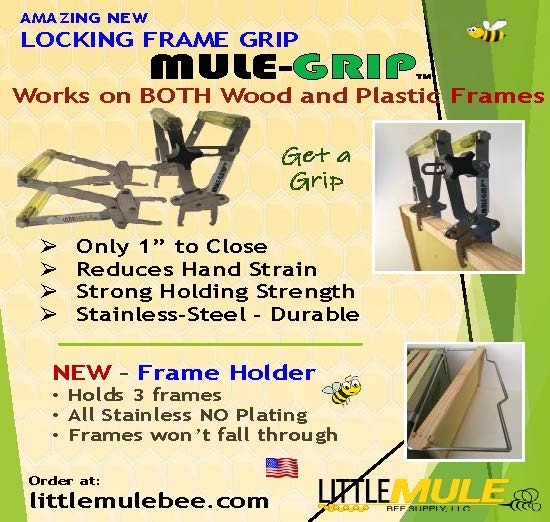 No, it only works on phoretic mites, i.e., those mites crawling on the frames or adult bees. 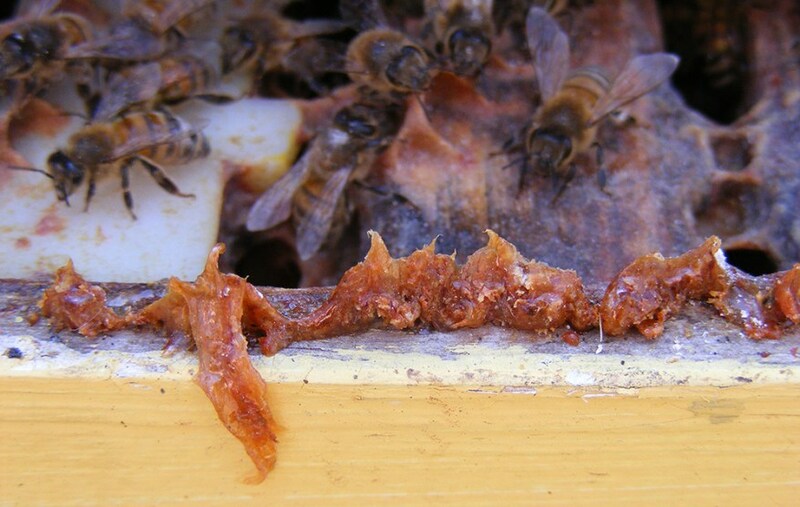 The mites breeding under the cappings of the brood cells are unaffected by oxalic administrations, as well as most other miticide products. Therefore, applications are most effective when no brood is present. 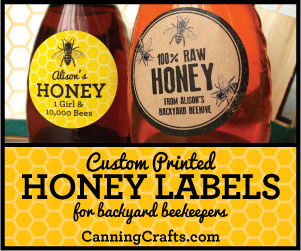 At beekeeping meetings, when chatting about this product to others, I’ve heard folks say that they are applying oxalic once-a-week for three weeks during the Summer months. This isn’t advisable since it’s not very effective and can be detrimental to the bees. A recent study investigated this approach. Shearer Turton, the beekeeper I mentioned before, did a study where he applied the OA, three times, seven days apart. He had taken alcohol samples prior to the study and then several weeks after the OA sublimation took place. We analyzed the samples at our lab, and at first, this method seemed to be working. Mite loads were down considerably, especially compared to the controls. However, three months later we took alcohol samples again, and the mite populations had rebounded, twice that of their initial numbers. We are hoping to set up another trial next year to test this further, but for now we do not recommend this as a treatment regimen. However, there may be a way to still treat during Summer months. Several years ago, a group of commercial beekeepers came over from Italy to learn about small hive beetles. The beetles have finally crossed the border and are wreaking havoc, especially in the southern regions. 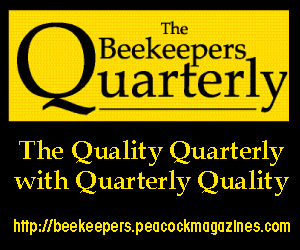 During our discussion, we also talked about Varroa control and what beekeepers do in Italy. They said they treated twice-a-year with oxalic acid vapor. 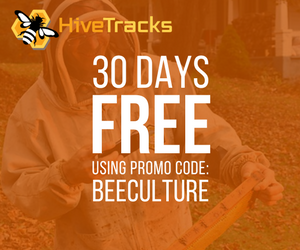 They treat once in the winter when colonies are naturally broodless, and once again in the late Summer after inducing an artificial state of broodlessness by caging their queens for 21 days. At first, I thought this was nuts, but, after we talked a bit more, it made sense. The Italians explained that by August or September, the nectar flows are over and the colonies are about to start producing winter bees. If mite populations are high, then the related virus loads that cause winter mortality will be high as well. Plus, by caging the queen, the foraging population (no longer needed) drops faster, and more colony resources (needed for Winter survival) are conserved. Why maintain a pipeline of replacement bees to sustain a large foraging force after the nectar flow is over? A hive full of bees eats regardless, whether there is work to be done or not. So, interrupting the brood cycle not only knocks down the mites (and the viruses vectored) prior to the Winter bees being reared, but reduces bee populations as well. 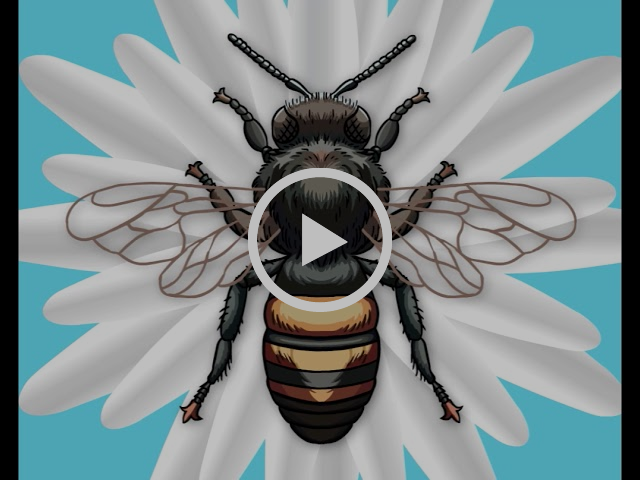 Fewer mites equals improved health, and fewer bees equals less food consumed; both circumstances contribute directly to improved winter survival. You can cage the queen for 14 days, release her and then treat on day 21. That way all the mites are now running around without the protection of the wax capping. Yeah, I know that it is work to first cage and later release each queen, but think about the money and work it will save by Winter or next Spring! 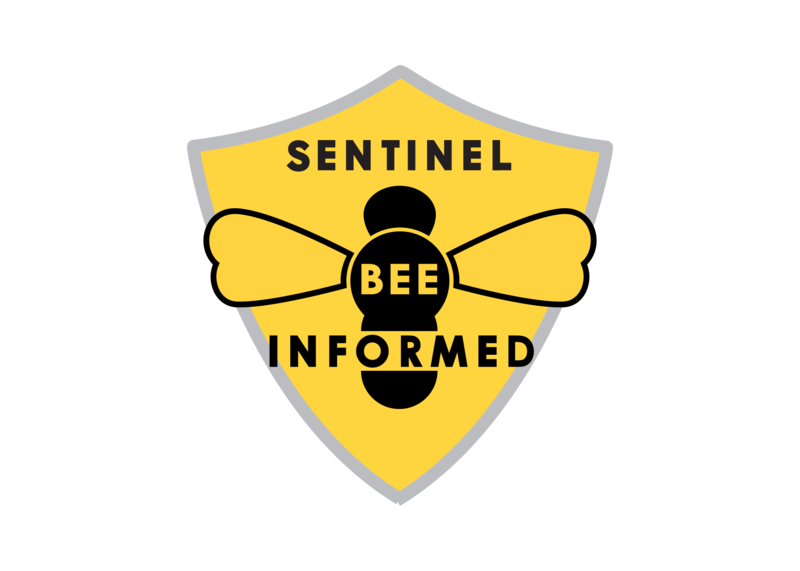 Brushy Mountain Bee Farm has been authorized by the EPA to be the sole distributer of OA for use as a miticide on honey bees. What does this mean? Well, for any application of oxalic (in beehives) to be legal, it must have the EPA approved label on it. Brushy is the only distributor registered to use the EPA label. It may seem silly, but it really is there for a reason. If you start searching the internet for OA application in bees, there’s a whole host of information out there on recipes for taking 100% OA down (wood bleach) to the 2 or 3% recommended application concentrations. Some advice may be sound, but other advice can be reckless and dangerous to you and your bees. Plus, OA purchased at your local hardware store may be only 95% pure. The material sold through Brushy Mountain Bee Farm is 99% pure. Certainly, you don’t want to get hurt or inflict undue stress on your bees. The EPA label assures you of what you are receiving and gives you the applicable instructions to follow so you can safely achieve the results desired without the risks of winging it after watching a YouTube video. Now back to our regularly scheduled program and the current topic at hand: OA and vegetable glycerin. After much deliberation with EPA (Meredith Laws and Tom Steeger), USDA (David Epstein), USDA-ARS Bee Research Lab (Jay Evans), Randy Oliver, Geoff Williams and myself, we decided on a procedure to test the OA with the food grade vegetable glycerin using shop towels as our delivery matrix. The protocol we used is as follows. There are four treatment groups, each with 50 colonies/group. Two of the groups will receive the shop towels with the OA mixture at different concentrations; one with 12g and the other with 18g. The towels are applied to the top bars in the brood chamber. The other two groups are the controls, one with shop towels and glycerin only and the other with no shop towels at all. Once we were all on the same page it was time to get to work. UGA and Auburn Crew after two long days in the watermelon patch. From left to right Shearer Turton, Jennifer, Nicholas, Jack, Augusta, Will, Selina, Geoff, and Emily. 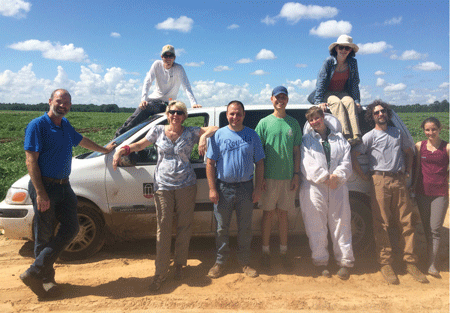 Back in June of this year, the UGA Bee Lab crew along with the Auburn University Lab folks took a trip to Cordele, Georgia where Shearer Turton’s colonies were located. He had 200 colonies placed in and around a 200-acre watermelon field. If I may elaborate for just a minute. South Georgia, in June, in an open field, in full sun, can be devastatingly hot. Oh, and don’t forget about the gnats, they have no problem getting into your veil. Anyway, it took us three days to number, weigh, count bees & brood (colony assessments), collect 300 bees and apply the shop towels. 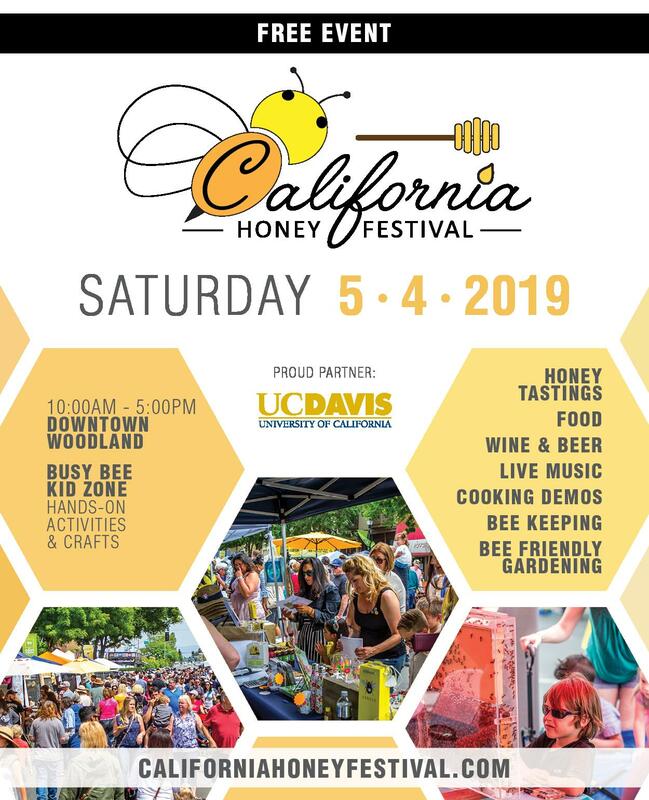 Doing colony assessments gives us beginning bees and brood populations (to test if the treatment has any detrimental effects on the bees) and the 300 bees we wash with alcohol to give us beginning mite numbers (to test if the product is actually working). After the fourth of July, we traveled back down to Cordele (where it was still hot) and collected the same data as before, along with % of the towels removed. At this point, we have only finished crunching about a ¼ of the data, but the trend is looking good. Mite loads are reduced in the colonies with the OA towels. But, and this is a big BUT, we still have lots of data to finish analyzing. Plus, we need to get the numbers from our Northern trials as well (which we started up the first week in August) before we can clearly determine if this method is working and not hard on our bees, brood and queens. 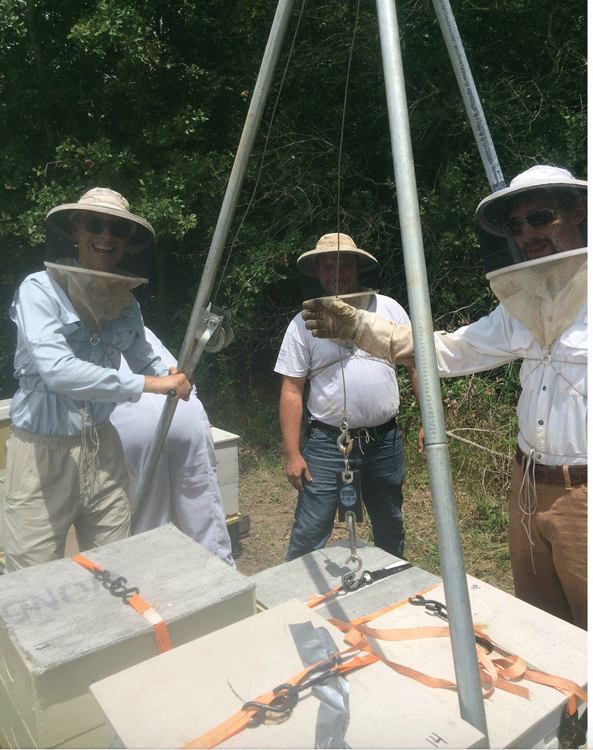 UGA lab crew weighing colonies. Next month, I hope to have the data completed from our Southern trial but we won’t have numbers yet from out Northern trial. 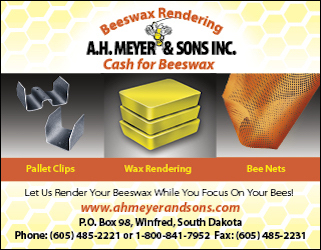 Let’s just hope this works, REALLY works, so we the beekeeper, can have a reliable method of mite control that is not harmful to the environment, won’t get absorbed into our wax, is easy on our bees and our pocket books, and can be applied in hot weather when other treatments can’t due temperatures restrictions. Boy wouldn’t this be nice? But before I go, I need to give shout out to Randy Oliver for taking the “OA bull by the horns” and introducing us all to hopefully a whole new way of treating for mites. Because at the end of the day, it is ALL about keeping those mites/viral loads down, if we want to keep our bees alive. 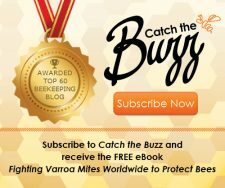 Previous articleCATCH THE BUZZ – So Who Owns The Name Manuka Honey, New Zealand, Or Australia? It’s Up In The Air Right Now.